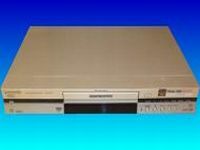 Has your Panasonic Recorder hard disk drive failed? We can recover the video directly from the hard drive with the original programs / clips in correct sequence? Our friendly team is happy to help recover your video footage and movies from hard disk drive Video Recorders. We have specialist knowledge to recover the lost video on your Panasonic video recorder hard drive. All we need is the hard disk from the recorder. Panasonic and Pioneer Hard Drive DVD hybrid Recorder problems include Disc Access Error, Hard Disk Error, Format Error & Disk Corruption:- Panasonic & Pioneer DVD Digital Hard Drive Recorder Video Recovery. The actual Panasonic recorder has died / will not start up when switched on. However all the recordings are stored on the hard drive. We have recovered video from disks which don't appear to show anything when plugged into a PC. Hard Disk Error / Hard Disc Error Warning, "recording failed". We have developed software programmes that can recognise the Video from the Panasonic or Pioneer hard drives and transfer it to a Windows PC Computer or Apple Mac. 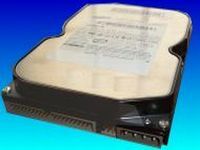 The hard drives are not recoginised when connected directly to a Computer but we can read your video and save it to a hard disk drive that you can insert back into a computer. Panasonic and Pioneer recorders have a variety of configurations. They can allow recordings from hard drive to erasable DVD-RAM and write-once DVD-R or re-writeable DVD-RW discs. Models can incorporate being able to pause a live TV program that is being recorded, or rewind to an earlier point and continue to watch it without disturbing the original recording. Firewire dvd camcorders can be connected via the i-link connectors so you can copy film footage direct to the hard disk or DVD discs. Some models also allow photo cd's to be played back (JPEG pictures on CD Recordables). They use a variety of hard disks - Samsung being quite common but like most manaufacturers they use whichever they can get hold of in the market place at the time, eg. Seagate, Hitachi, Maxtor, IBM, WD Western Digital. Panasonic Video Recorder HDD Video Recovery problems that we recover data from are listed below. Panasonic,DMR,video,recorder,repair, recover video,from,hdd,video recovery,Panasonic HD Recorder recovery,Hard Disc. 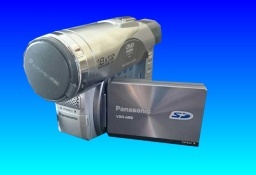 We can recover the video from your Panasonic Video Recorder Hard Drive. We can recover data from HDD error problems failure to start or even reformatting.